The Many Mini-Adventures of the Wards: Baby Lucy is Here! 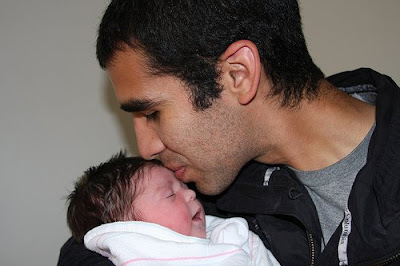 Kelly and Julio's family grew by one on Saturday, June 14th! 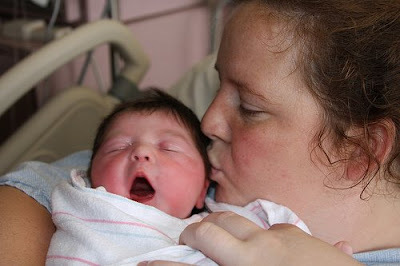 Kelly was admitted to the hospital on Thursday and Lucy finally arrived Saturday morning around 7AM. It was a long labor, but worth the wait. Look at that cute face! Kelly and Julio, we are so happy for your new addition. You are already great parents. Enjoy these first moments - she will be fresh and new for such a short time. Love to you THREE. Here's a little slideshow of Lucy modeling all her baby bows. There is nothing cuter than a baby girl with a huge bow on her small head. She is SO beautiful! Congratulations Kelly & Julio! The bows are the best! I only pick out outfits that match a bow she can wear. Julio thinks the whole thing is silly. What does he know? Can't wait for you guys to see our little Lucy Lu! She is gorgeous and I love her bows!